Friday, October 26th, 2012 - Categories: Competitions, Events. – Edgeworks will be closed for open climbing to the public. We are sorry for the inconvenience. – Saturday Yoga will be cancelled on the 27th of October. Again, we are sorry for the inconvenience. – Adults can compete too! 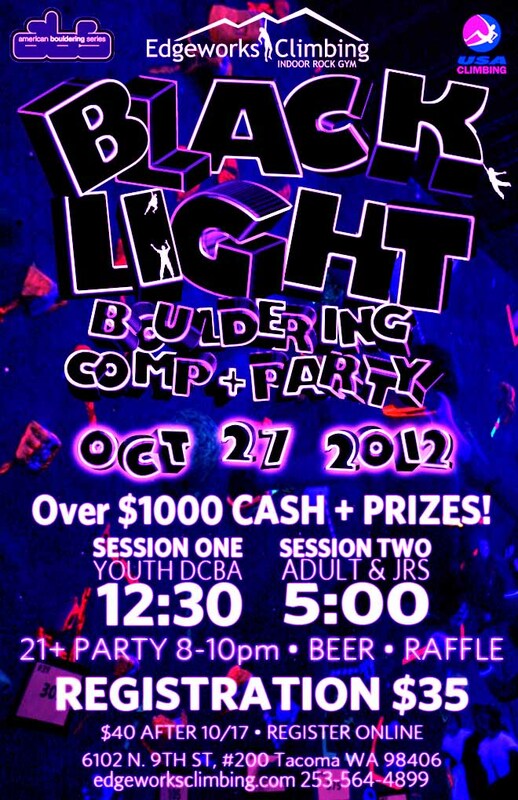 There will be a 21+ party after the climbing ends… beer included!! – There is a raffle for competitors who sticks around until 8:00 pm with tons of AWESOME swag and prizes. – Be there or BE SQUARE!! !